Stacks of paperwork, hour-long phone calls, long drives to the bank – imagine all of that being eliminated while you fly through your mortgage application process while you’re curled up on the couch in the comfort of your pajamas. The process of purchasing a home can be tedious. Living in a digitized generation where every course of action can be taken online has its perks. 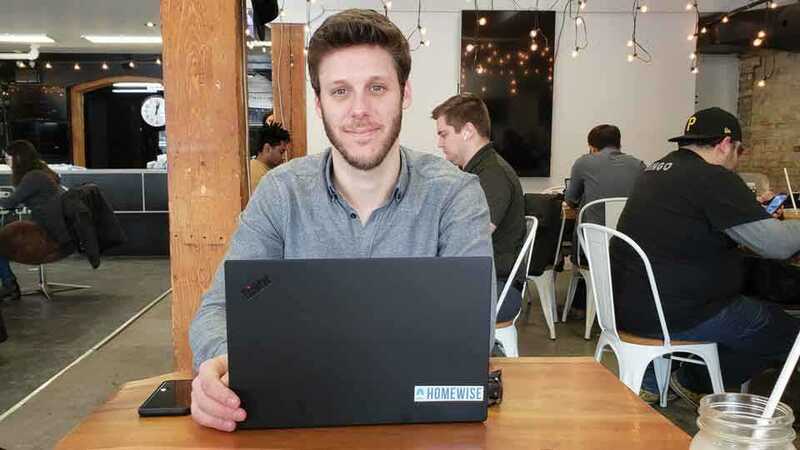 A new Toronto startup that has been live since mid-June 2018 – Homewise, an online mortgage solution – provides potential homebuyers with the luxury of attaining their mortgage online, saving them time and hassle. Homewise founder and CEO, Jesse Abrams, a first-time homebuyer, believes that purchasing a home should be an exciting time, not filled with fear tactics because the process of dealing with a mortgage wasn’t something he and his partners were taught in school. The online mortgage solution is available 24/7 and the clients are set up with one of their mortgage advisors that help them in each step of the process. “We still believe in the importance of a human touch,” says Abrams. Homewise’s modern initiative automated the mortgage process to take place online with a simple five-minute application. From that point, Homewise takes over by negotiating its client’s mortgages with more than 20 mortgage lenders to find a tailored solution that works best for them. They focus on ensuring that their client gets the best possible mortgage with the lowest rate and best features, all free of cost. “We actually built algorithms so that we can match consumers with the right lender, taking total bias out of the situation and focusing purely on what’s the best solution for the consumer,” Abrams says. Compared to the traditional method of procuring a mortgage, this solution seems like a cakewalk. But will consumers be able to avoid the human tendency to be skeptical about online solutions and trust the process? East Toronto resident Vincent Gomes, 24, has gone through the traditional method of obtaining a mortgage loan and he has doubts about the level of surveillance that an online mortgage could provide. To address security concerns, Abrams said it is one of the most important things they focused on. Due to the ease at which one can access the site, Abrams noticed that approximately 75 per cent of the applications are happening between 5 p.m. and 3 a.m. and on the weekend, revealing that people visit the site at all different times. According to Abrams, every potential buyer, whether it’s someone who’s already in the marketplace, or looking to get into it, should be able to find out what they can afford.